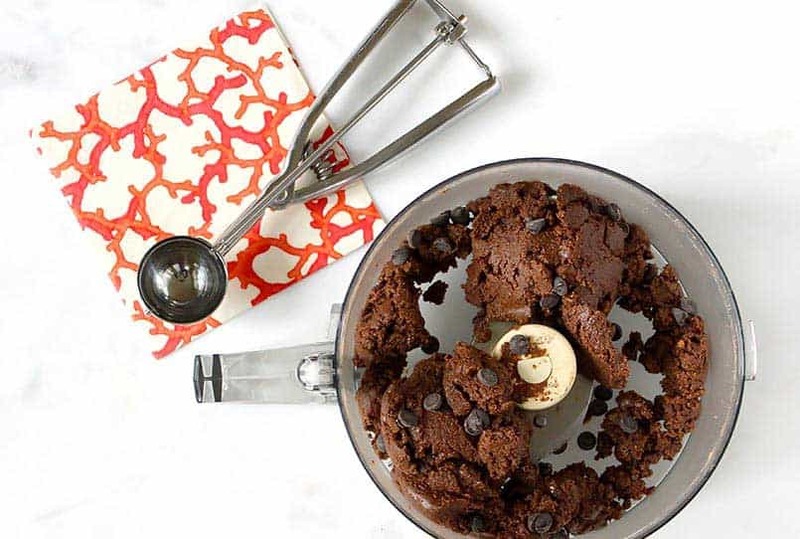 Today’s recipe is inspired by a nut butter that I ‘d heard about and had to try from Manna Organics, called Organic Nut Butter Dark Chocolate Pecan. I found it on Amazon (affiliate link), but you can also purchase from Whole Foods or from the Manna Organic web site. Oh my goodness. It’s amazing! It’s seriously addicting. When I found myself going back to the jar for the second, third and fourth time, I was literally telling myself, out loud, “Stop. You need to stop!”. I wanted to capture this rich and satisfying chocolate flavor but clean it up a bit and make it portable. 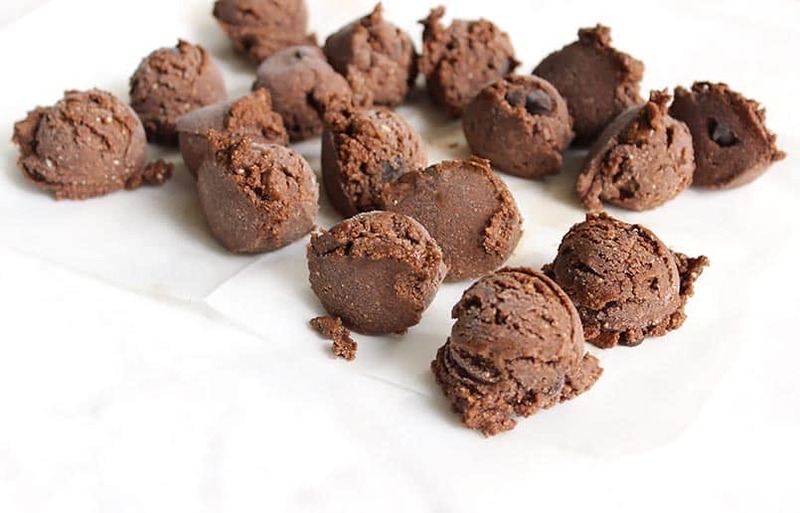 I replaced the cane sugar with stevia, added some protein and healthy fat and turned it into an on-the-go snack. Let’s be honest. These are not quite as indulgent as the Manna Organics nut butter, but they do the trick when you need a chocolate fix! Also, these are great when you are running out the door or after dinner when you are craving some sweetness. Grab one out of the freezer, pop it in your mouth and … instant happiness! Remember you can easily increase or decrease the sweetness with the amount of natural sweetener you use. Personally, I have been working on dialing sweetness (and definitely sugar) back in all areas of my food life. It’s amazing how your taste buds adjust and over time you don’t require the sweetness you once did. I hope you enjoy this satisfying chocolate snack. It’s convenient and good for you. Please let me know if you try making it for yourself! 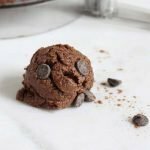 These brownie bites are a super healthy chocolate fix for you, whenever you need it! Place pecans and cashews in the bowl of a food processor. Pulse on and off until finely ground. Add the salt, cacao or cocoa powder, protein powder, erythritol (or sweetener of choice), almond butter, and vanilla to the processor. Pulse until combined. Add coconut flour, to thicken batter if necessary. Stir in the baking chips. 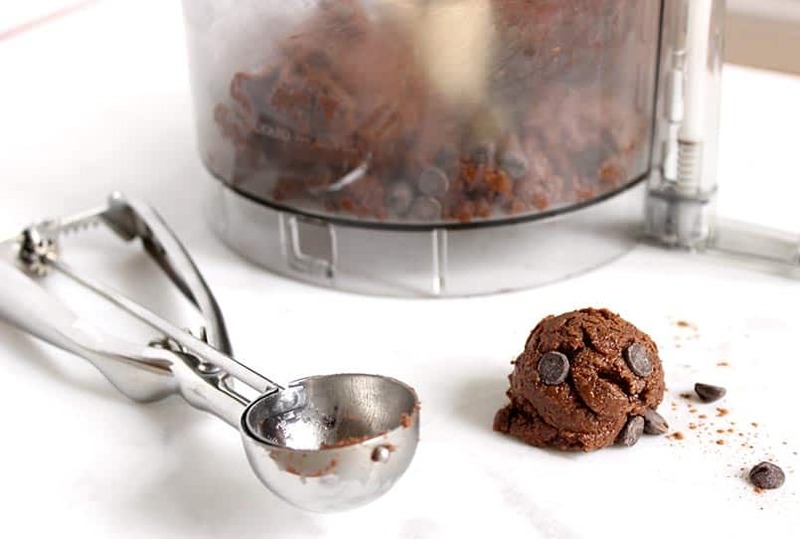 Form each ball with a cookie scoop. Place on a small plate or pan that you can fit in the freezer to set up. Use waxed or parchment between layers. These look awesome! I’ll try making these soon.